Our customer's Coastal Craft could already whip 34 knots down the coast just fine, but he came to S3 Maritime because he needed more precise control when fishing in the bay. We installed a custom outboard motor for trolling and a cockpit control station that can control the entire vessel (including the new outboard motor) from outside instead of in the wheelhouse. 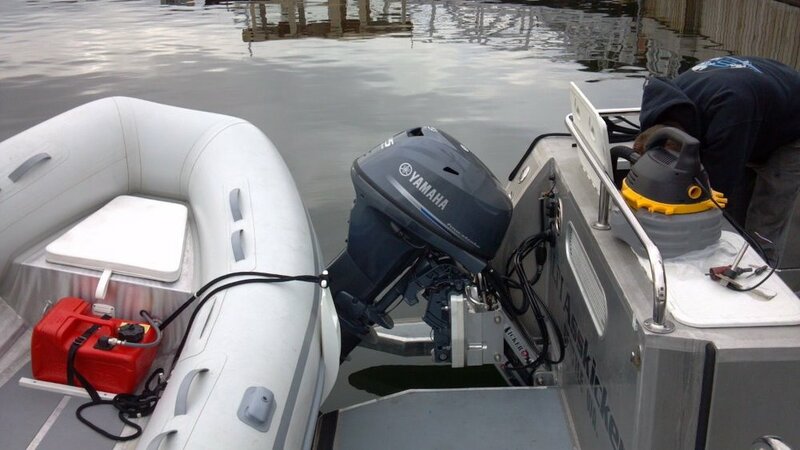 To install the outboard motor, we cut a hole in the swim step and installed an electric/hydraulic lift system that can raise and lower it in and out of the water. Since the yacht is diesel powered, we installed the outboard motor with its own custom gasoline fuel tank. 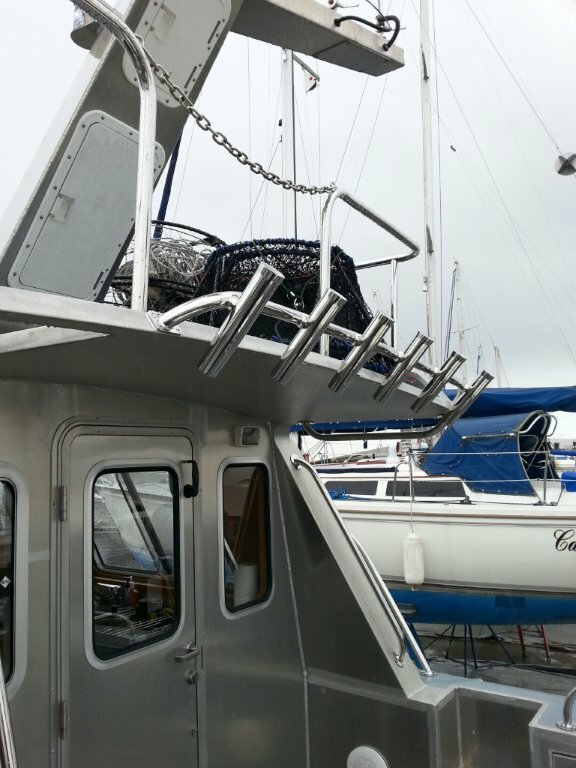 To top it all off, we custom fabricated a set of stainless steel fishing rod holders to rest above the outdoor steering station.